If you have a house fire, get flooded or a tree falls through your roof then Atlas Restoration Specialists is the company to turn to.They are the St Louis experts when it comes to restoring your property to its former glory. Launched yesterday was their brand new web site where you can truly see the value of their work with some amazing before and after photographs. 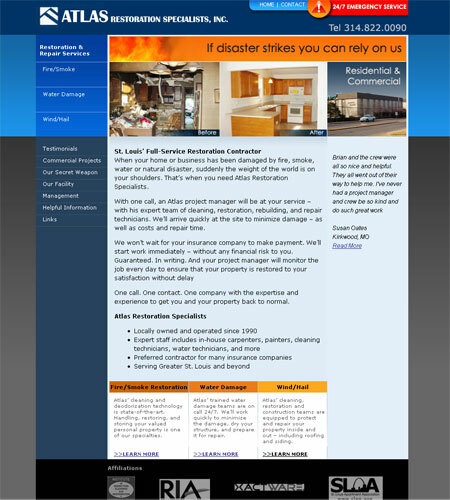 Learn more about their full service offerings, meet the team and even contact them directly through their pager.